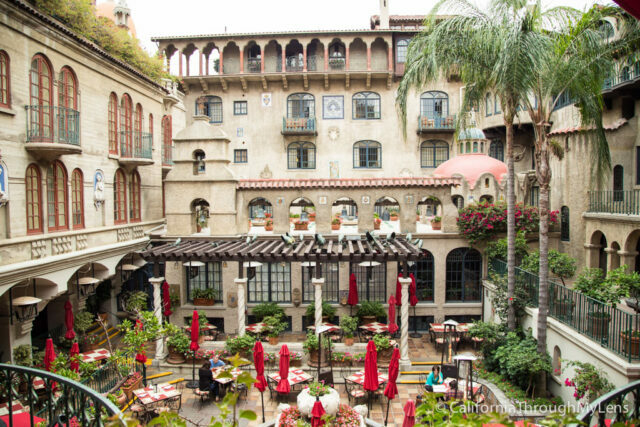 The Mission Inn is one of the most famous hotels in California, everyone from presidents to celebrities have graced its grounds. 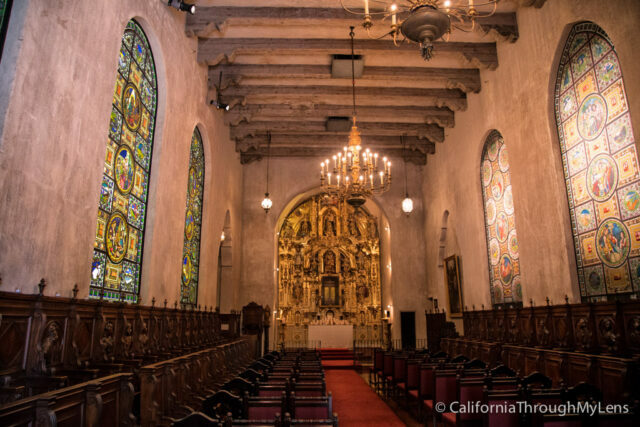 Home to Festival of Lights, one of the best light shows in the USA, and steeped in unique history, it is a fantastic spot for a stay or a visit in Riverside. You can walk some of the grounds as a visitor but to really see everything you need to be a guest or book a tour. I highly recommend the tour as it will fill you in with the history that is lost by just walking around. 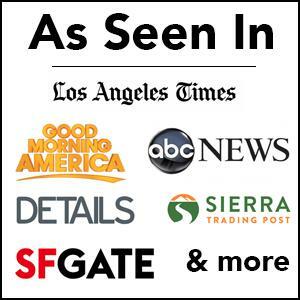 That being said here are some of the things you will see on a visit to the famous hotel. 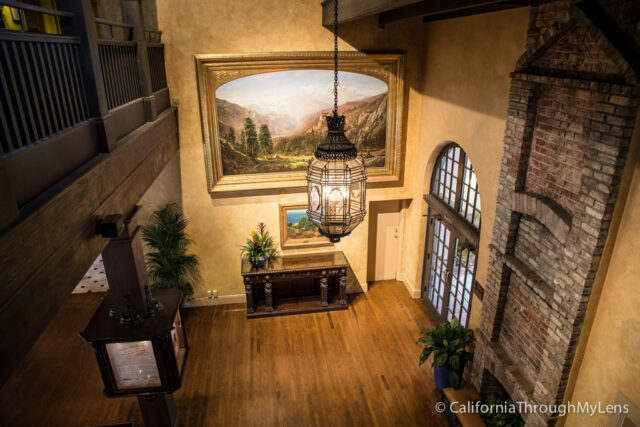 The first thing you will see when you visit is the famous entry way complete with arch covered in vines and bell tower. It is a fitting way to start your exploration of this famous hotel. 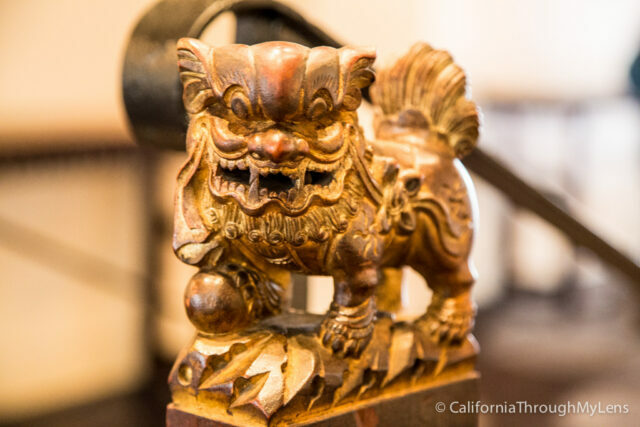 On the left when you walk up is a bell that was brought over from China and is the first of many eclectic pieces of art you will see in the hotel. 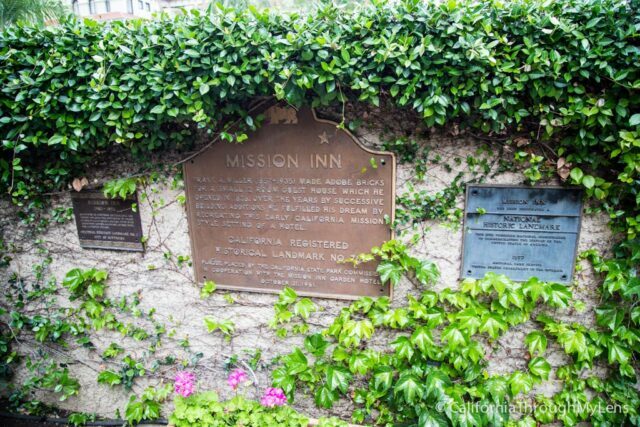 Next is the canons that guard the entry, even though Miller was a pacifist, and the historical plaque stating this as a historic place in California. 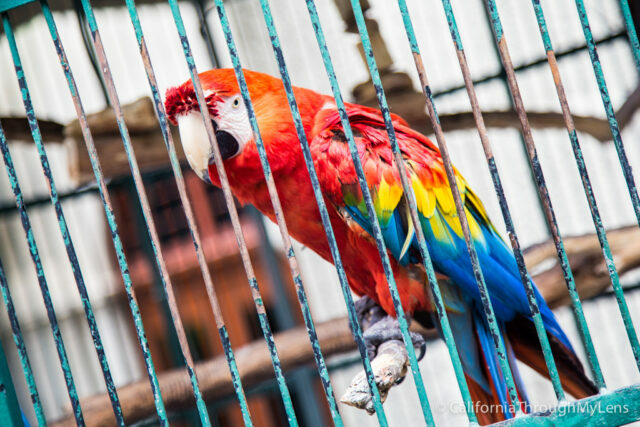 Lastly, before you enter the hotel itself you will see the macaw birds which have been at the hotel since its inception. There is even a story of one of the previous macaws biting Albert Einstein when he visited the hotel. 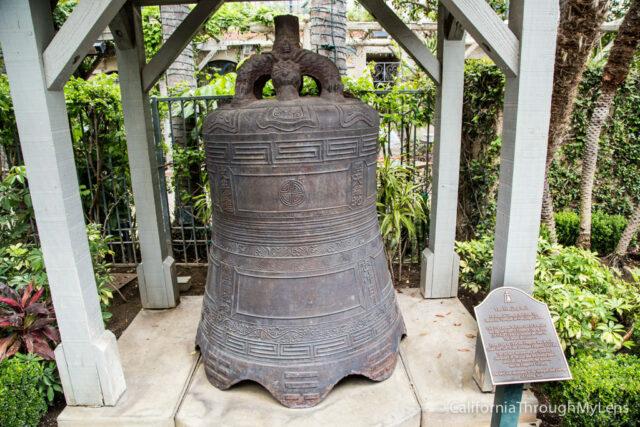 After entering the hotel you will see the oldest christian bell in the entire world. Behind the desk there is a famous painting from .. who was a friend of John Muir’s and which has been restored to its original glory after water and smoke damage. 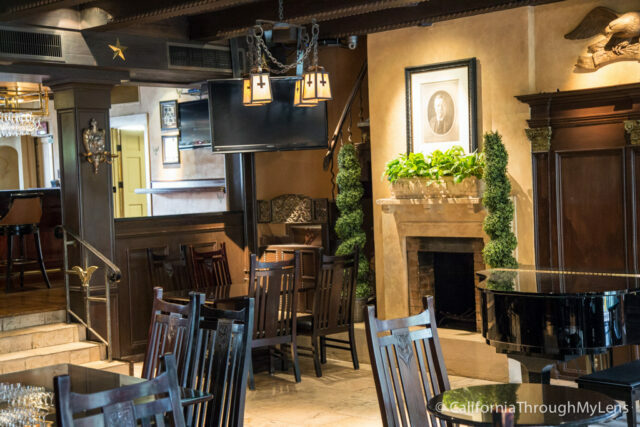 From here you will want to head to the presidential lounge and the memorabilia that surrounds it. The most famous item here is Taft’s chair. 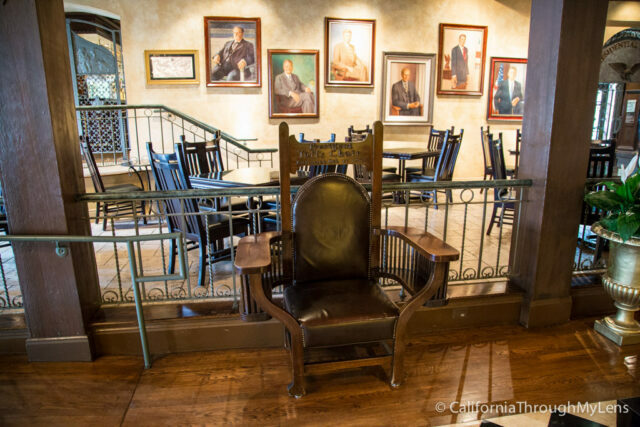 This massive chair has been sat in by presidents and celebrities alike. It was commissioned for President Taft but if you see it you will see it is pretty large and he was actually insulted when he first saw it. In the Presidential Lounge which you can now have drinks in, it was the original spot for weddings back in the day. President Nixon himself even got married near the fireplace here. 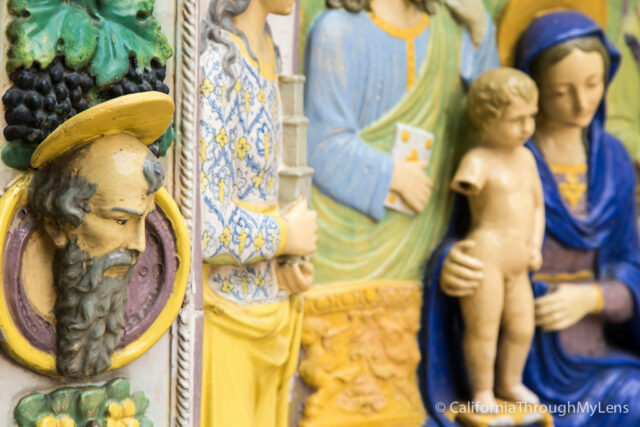 If you are on the tour you will probably head up to the second floor and be above the courtyard. This Spanish inspired area is a beautiful place to sit with a meal and just relax in the amazing shadow of the architecture. 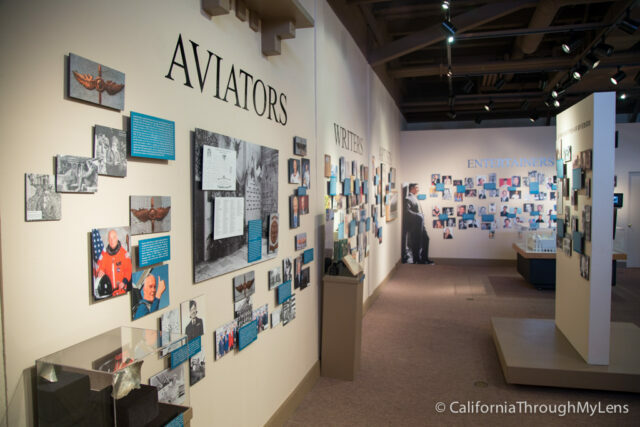 This area is also home to famous art all along its walls and a wall dedicated to the history of aviation. 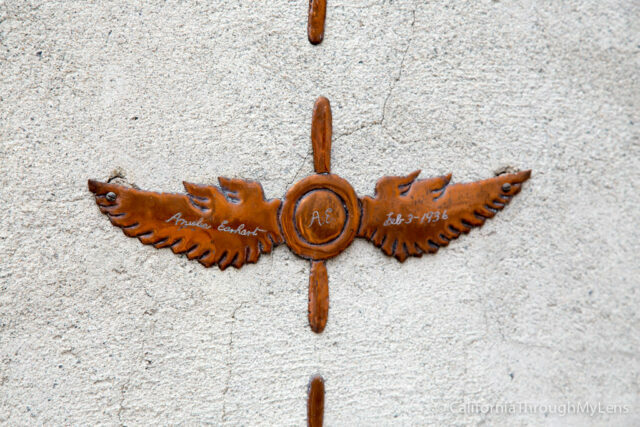 This gated wall has copper wings for famous people in aviation. Everyone from Amelia Earhart to Buzz Aldrin has signed wings hanging on this wall. 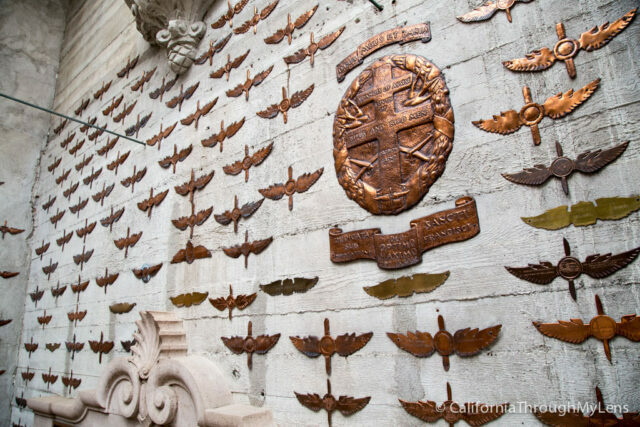 This is right outside the massive wooden doors that guard the Chapel. 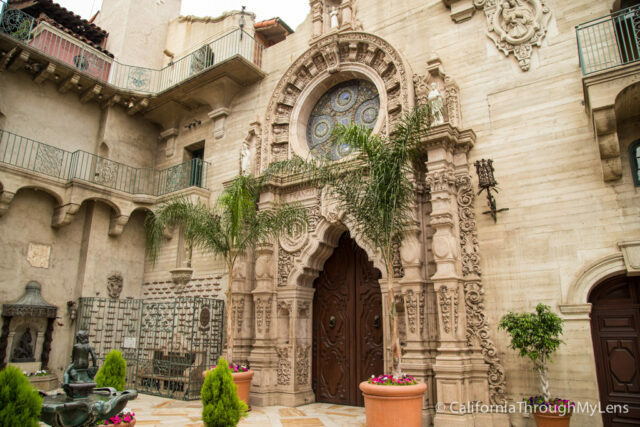 Home to one of the most ornate and beautiful chapels in Southern California, this spot hosts over 150 weddings a year. 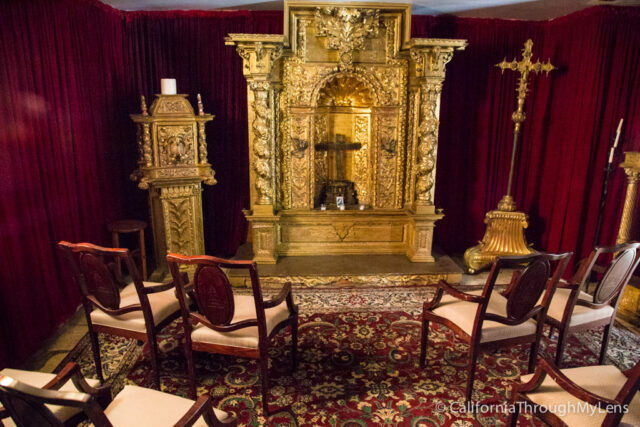 It is easy to see why as the golden alter, wooden chairs and Tiffany stained glass are a sight to behold. 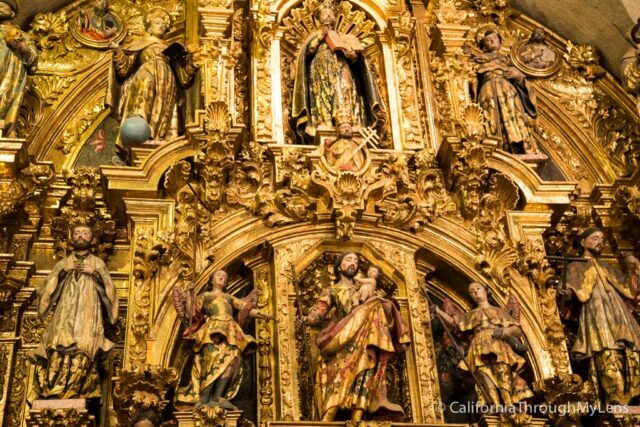 The altar itself was bought from a family in Guadalajara which traced its date back to the early 1700’s and shipped it through El Paso in 35 crates to Riverside. It is said that the statue of Mary, which was in the center, did not come with it so now it houses an old cross. 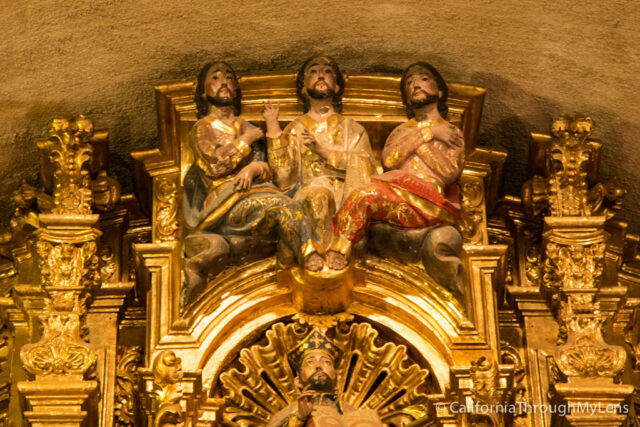 The top of the altar has a unique depiction of the trinity as well with all of the three parts of God combining into one foot. 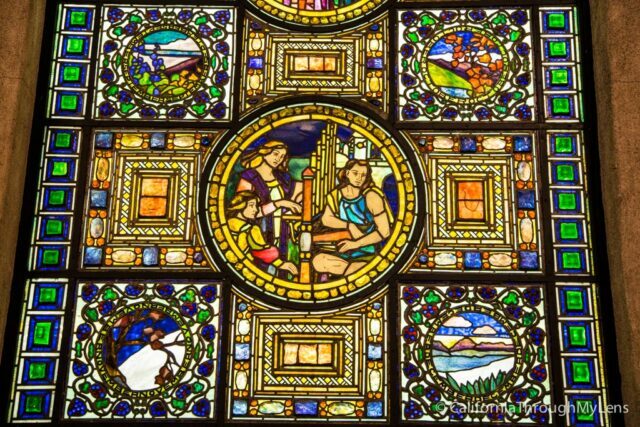 The stained glass itself is Tiffany Glass, yes of the jewelry family, and was said to have been bought for a half million. 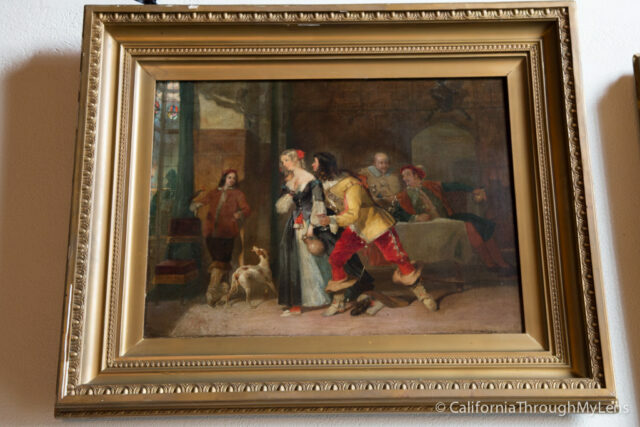 This was a good price for a piece like this and apparently it was under the condition that it was not be dismantled. 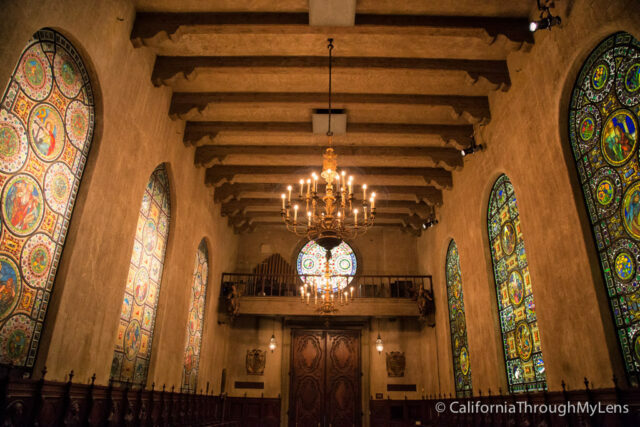 Either way it is a magnificent sight to behold in the chapel. 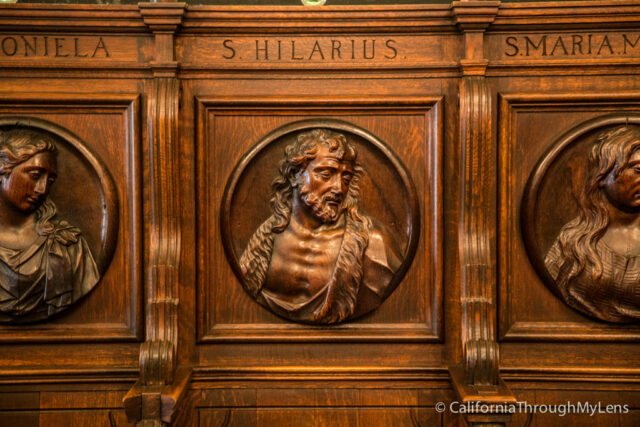 Lastly, on the way out make sure to see the chair to a certain man with the last name Hilarius on it. Across the courtyard from the main chapel is a small 10 person chapel that is also used for weddings. 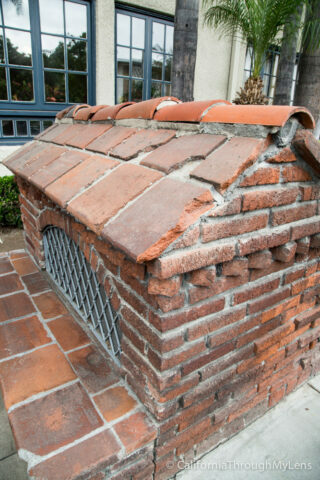 It is much more quaint but is equally beautiful. I really liked the stained glass of the monk that was in the chapel as well. This main hall is where receptions happen at the hotel and it is a beautiful vaulted ceiling room covered with art. 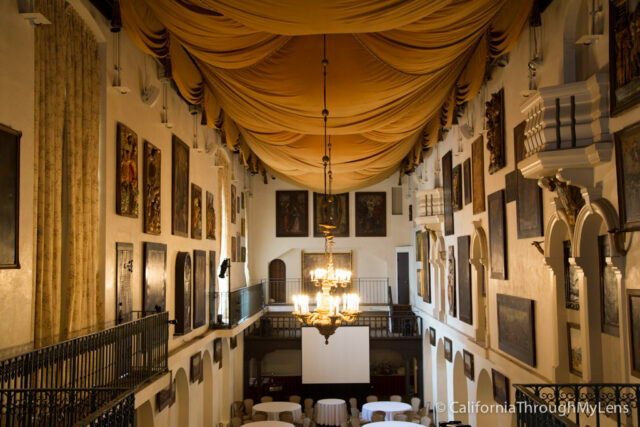 Some of the art in this room was picked up in Russia at an auction and we were told that some of it is so famous Russia wants to get it back. They were preparing for a reception when we were there and it would no doubt be a beautiful spot. As you can tell by now, this is a very eclectic hotel. 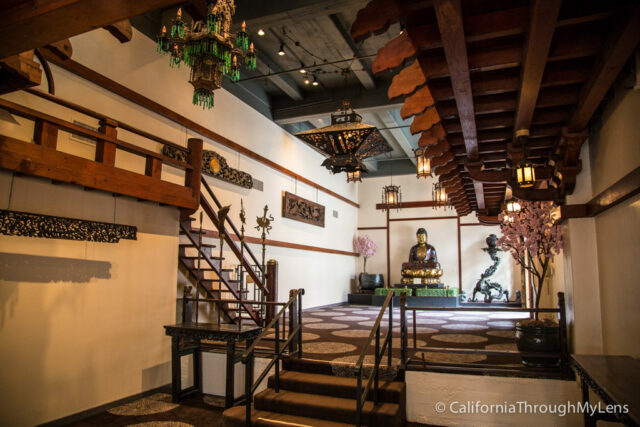 It even has a room full of Chinese art and decor that can be rented out for events and such. 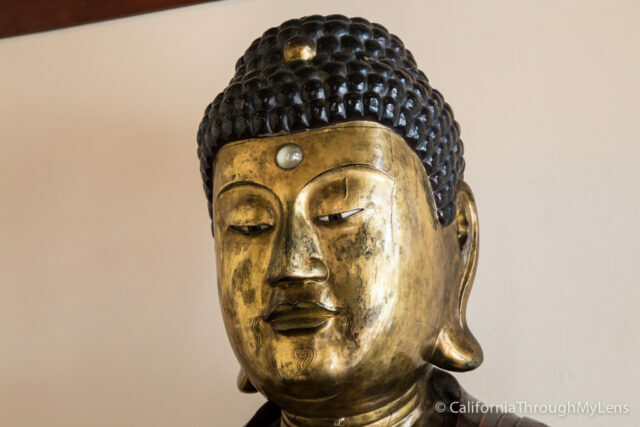 The main piece here is the massive Buddha that Raquel Welch once danced on in an old Hollywood Film. I liked the small dogs that you can rub for good luck on the top of the staircase myself. By far my favorite spot in the entire hotel is the spiral staircase though. 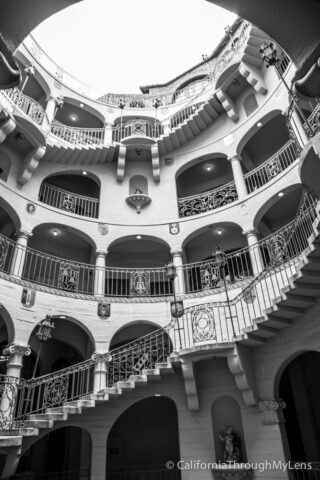 This area is a four-story staircase that leads up to the top of the hotel and to different businesses at the different levels. While there is not as much to say about this area, the guide showed us where different parts of the hotel were connected back in the day and told us about the history of the adobe that once stood where the pool is now. As I am sure you have heard there are stories of catacombs under this hotel that are haunted. Our guide commented on the fact that yes there are catacombs but no they are not haunted. He even told us stories about how Miller himself would walk around down there and make noises to scare guests. The catacombs under the hotel were originally designed by Miller as a way to display his art and provide a place to his guests to escape the heat prior to air conditioning. It is no longer accessible to the public but you can see the vents where the air comes up from said catacombs. 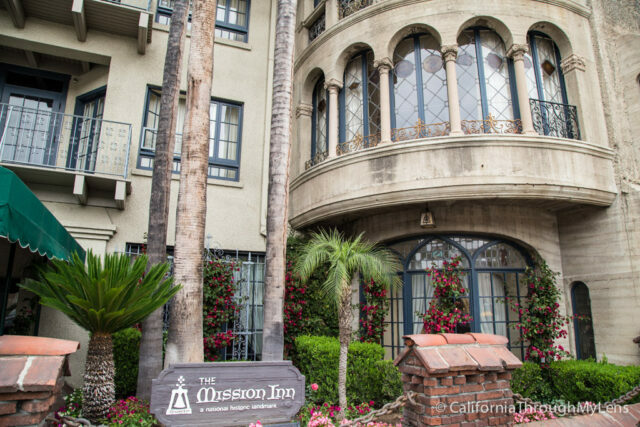 Lastly there is a donation based museum that you can walk through to get a lot more history on the hotel itself and the city of Riverside. It is well maintained and has a lot of unique artifacts. This is also where the tour begins if you take one. The below wall shows all of the famous people that have stayed here. 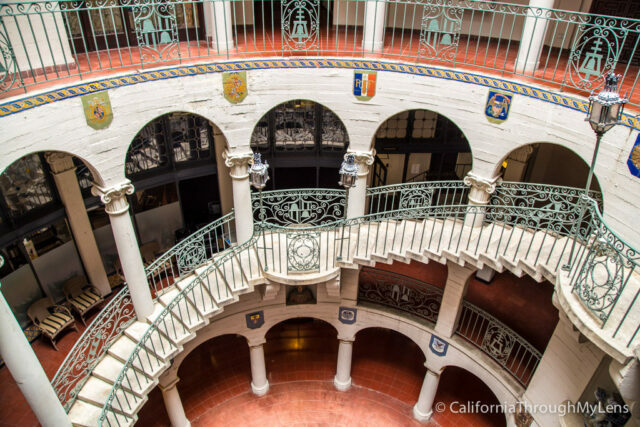 All in all this hotel is a fantastic piece of California history and one that I cannot believe it took me so long to visit. 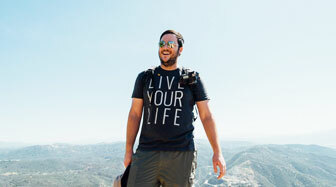 I loved the tour I took and I highly recommend it. I imagine staying here would be equally awesome though and I plan to do it at some point in the future. 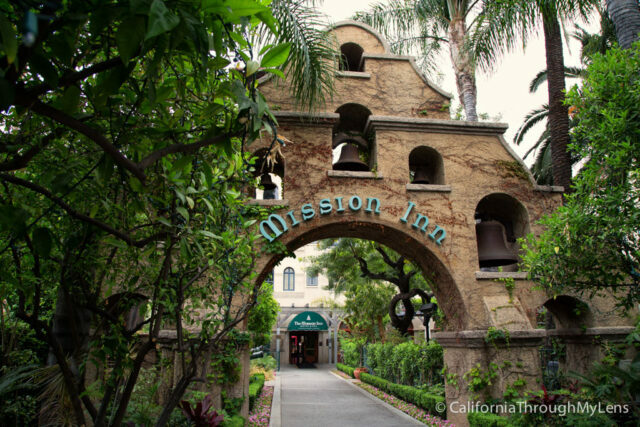 I would love to hear what you think about the Mission Inn in the comments as well.